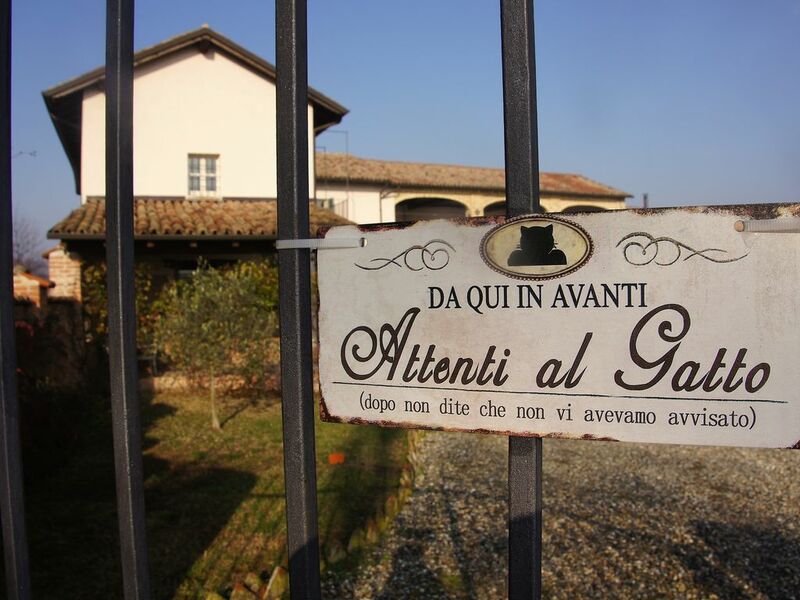 Your refuge in the countryside in the heart of Monferrato. The apartment, completely independent, is part of a farmhouse immersed in the Monferrato countryside and offers absolute tranquility, a unique and relaxing holiday experience in the countryside. The apartment, recently renovated, is located on the ground floor, overlooks 2. 000 square meters of fenced garden and consists of a living room with sofa bed for two people, a kitchen, a spacious double bedroom with extra bed, a bathroom with shower. For breakfast we will be happy to make you discover a basket of products perfect to start the day, so make sure you send us an email with your eating habits and needs so that we can offer the best. All animals are welcome! When you book via email tell us something about them so we can prepare the house to receive them. The farm is home to many animals so guests 4 feet must be kept on a leash. They can be kept free only if you are the owners, whose sensitivity depends on the respect and tranquility of the other guests and pets. For our customers who want to visit some places without their friends have planned a free sitting day for a minimum stay of 5 nights; for shorter stays or the sitting longer required it will be charged at € 10 per day. From the farm are trails to walk through the fields, roads leading into the woods and there are many activities and attractions that the place offers. And for those who love the tranquility of the countryside and the company of animals this is the ideal place to spend a holiday. The Monferrato is located in a strategic position to visit and be reached easily from the three regions, among the richest in nature, history, art, food and wine: Piedmont, Liguria and Lombardy. Not far there Alfiano Natta, with all services. At about 5 km there is Moncalvo, collection town but not unattractive and events all year round. Asti is 18 km away, Turin is 76 km, Alba and Langhe to 50 Km. THE STRUCTURE IS ABOUT 1 KM FROM THE CENTER CINOFILO GENTLE TEAM LAKES, OPPORTUNITY 'FOR ALL THOSE FOLLOWING COURSES AND STAGE. STRUCTURE ALLOWS TO LEAVE YOUR PETS IN SAFETY OF A SITTING BAR advantage.